One of the most overlooked things in the kitchen is the maintenance of knives. Knives are essential tools that are used in almost all food preparation procedures. However, due to poor maintenance, they blunt easily, get damaged and become dull. Knives, especially the high-quality ones, cost a significant amount of money, and it is essential to care for them. In this light, here is a quick overview of the three main ways you can protect your kitchen knives and extend their durability. Proper storage is the key to protecting your knives and extending their durability. Most people store knives in drawers, and this method can cause the handle or blade to chip easily. What’s more, it is dangerous as one can easily get hurt as they retrieve a knife from the drawer. Instead, invest in a leather knife roll. Knife rolls protect the knives from damage and prevent accidents in the kitchen. You can also travel with your knives, especially if you are a chef. Some cleaning methods expose knife blades to premature damage. For example, if you wait long before washing your knives, the food particles accumulate on the knife, dry, and become hard to clean. They can cause the knives to become blunt and dull. What’s more, putting knives in the dishwasher also causes the blades to knock against other items and get blunt. Clean your knives in the sink, dry, and store them in your leather knife roll in readiness for the next use. Most blades are made from a metal material which can corrode when exposed to chemicals, acids, and water. Proper cleaning is essential to prevent your knife blades from corrosion and spotting. 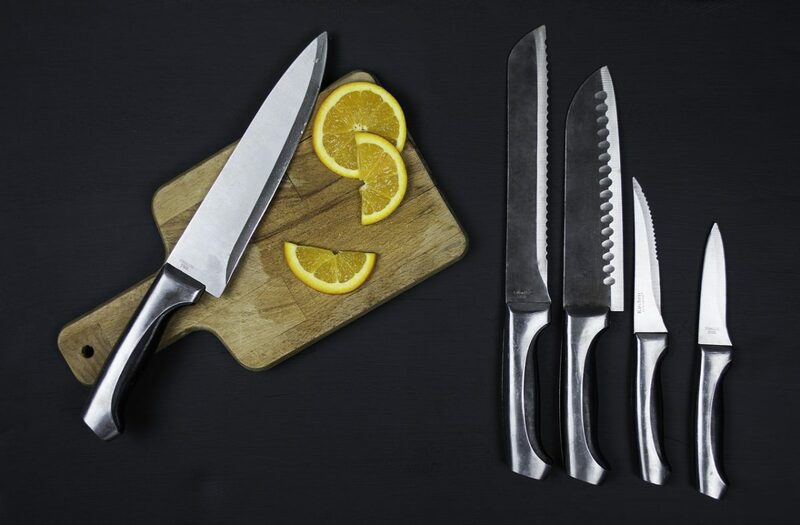 After cutting acidic foods such as tomatoes, oranges, and lemons, wash your knife immediately. Also, avoid dishwasher cleaning as the cleaning chemicals used can erode the blades. Dry your knives properly after cleaning and store them in a dry knife roll to prevent exposure to moisture which can cause spotting. Your knives can get easily damaged when handled carelessly. Even high-end knives that are manufactured to last for long are prone to damage if not properly taken care of. Unless you want to be sharpening your knives every other week, it is essential to observe proper care to keep the knives sharp and safe for use. Follow these tips so as to protect the blades from getting dull and blunt. Also, you will prevent handle breakage which can undermine the functionality of the knives.